You would think that such sound advice from an astute and experienced doyenne of the global business community would never be forgotten by small business owners. Yet, looking around, I see many who seemingly don’t understand the concept of cash flow – and nor do they understand the influence they can have on it. 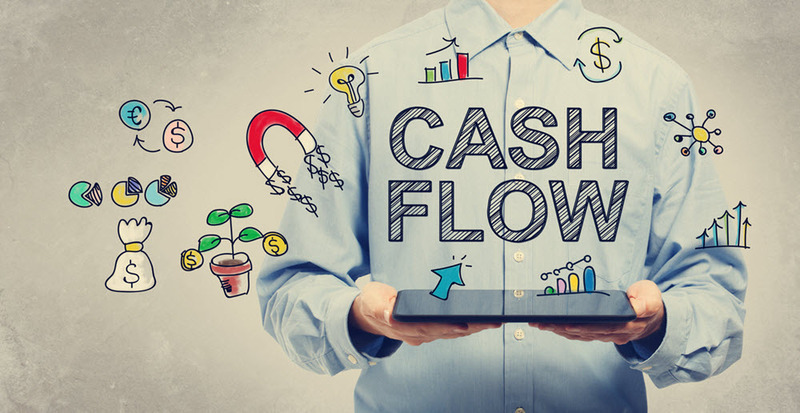 Problems with cash flow for small business can be so serious that they actually hinder an owners’ capability of ever making the most out of their business. However, understanding more about this age-old problem can lead to vast improvements and bring those business goals a lot closer. Cash flow is the term used to refer to the net result of cash coming into your business and cash going out of your business. A cash flow positive business means there is more money coming into the business than there is going out. Conversely, a cash flow negative business is when more money is flowing out of the business than is coming in. Cash flow for small business: how is it different to profit? It’s important to understand the difference between small business cash flow and profit. Profit is sales less expenses (excl. GST) whereas cash refers to the net cash flows. There are different items that you deal with in the normal course of business that affect profit and cash differently. For instance, a loan repayment has an effect on cash flow only whereas interest on the loan has an effect on both profit and cash flow. The gap between the profit and the cash flow in a small business is, at its most basic, a question of timing. For instance, loan repayments are necessary because you need the finance to establish or grow the business; part of the profit generated by the business is used to pay back the loan. Say your customers don’t pay you for 45 days. That’s 45 days’ worth of your profit being used to fund your customer’s businesses; 45 days where you have to find alternative sources of cash because your cash is still in your customers’ accounts; and 45 days where you have to use the profit to fund your cash shortfall because your money is still in your customers’ accounts. The term ‘working capital’ is often talked about when discussing how to improve cash flow. In simple terms, it is the funds you have in your business to cover your day-to-day running costs; or the ‘spare cash’ available to cover the operating costs before you get the money in the bank from the sales you have made. The ‘working capital cycle’ is the time that it takes to convert your investment in your inventory/service providers to sales. It is in your best interest to maximise the working capital you have in your business – you can do this by shortening the working capital cycle. The ‘cash conversion cycle’ refers to how long it takes you to convert the sale you have made into cash coming through the door. It takes into account the fact that, traditionally, you must pay your supplier for your materials or stock before it is actually sold. Like the working capital cycle, it is in your best interests to reduce your cash conversion cycle as much as possible so that you reap the benefits of the work you do sooner. Best practice cash flow management and planning for small business is rooted firmly in having robust processes. If the complexity of cash flow is baffling you, start educating yourself and planning to make the necessary changes to get the most from your business. The first step is to measure your cash flow and prepare a forecast. Then you can make sure this is monitored regularly and you can build in ways to improve the plan. Does your small business need help with cash flow management? Contact us here.